News and guides of converting iTunes DRM contents for portable devices. Just have bought a new device and wonder if it supports play iTunes DRM contents? Want to learn more information about this device? No problem! Here you can find all the reviews and news about iOS, Android and Windows devices and useful DRM removal tool. Samsung just unveiled its brand new smartphones, the Galaxy S8 and Galaxy S8 Plus. Here we make a detailed review of Samsung Galaxy S8 and Galaxy S8 Plus. As the fourth generation of iPad Mini tablet, iPad Mini 4 has been announced during Apple Special Event. This article will show more details about iPad Mini 4 in design, performance, camera and Touch ID. If you feel puzzled to make choice among Apple TV 4, Roku 4 and Chromecast 2, you can refer to this comparison among them based on their specs, design, price, remotes, streaming apps and contents to decide which one to buy. This article tells about everything you need to know about the new iPad Pro before buying one, and introduces NoteBurner M4V Converter Plus to help you keep iTunes rentals forever on iPad Pro. This article will talk about VLC Media Player and QuickTime Player. The main difference between them is about iTunes movies. What if you would like to enjoy iTunes movies on VLC? Let’s learn how to use NoteBurner M4V Converter Plus to enjoy iTunes movies on VLC Media Player. The article reviews three powerful iTunes M4V Converter which can help you remove iTunes DRM and convert iTunes DRM-ed M4V videos to plain MP4 format. The article mainly explains what is Requiem and how to download Requiem. And also introduces NoteBurner iTunes FairPlay DRM Removal as the best Requiem alternative to remove DRM from iTunes rentals and purchases. 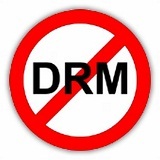 The article introduces the top 3 DRM removal freeware - Requiem, myFairTunes and Calibre, and also recommends related useful alternative software to help users better convert DRM-ed videos, music, ebooks and audio books. This article is about comparisons and reviews of the best 10 ebook readers in 2015. You can choose your favorite one according to its readability, portability, convenience and features. • iPad Mini 3 or iPad Air 2: Which new iPad Should You Buy? This article mainly compares iPad Mini 3 to iPad Air 2 so that you can choose to buy a more suitable iPad. Here you will learn everything you should know before you make a choice. • Will iTunes match remove DRM from songs? Will iTunes Match remove DRM from songs? Is it a good way to remove DRM? This article will give you a complete review about iTunes Match and introduce alternative to iTunes Match for music DRM removal. Samsung Chromebook 2 will be available in April 2014. Will it fill out what Samsung calls its "Good, Better, Best" offering? Learn how to play DRM M4V videos and unprotected M4V videos on Windows and Mac OS. • How to remove DRM from iTunes media file? This is a brief instruction on how to remove DRM protection from iTunes video, audio and audiobook. This article introduces the best free or free-trial DRM removal tools for you and gives them a brief review. An introduction of 6 essential essential DRM Removal tools to help you remove DRM protection from movie, ebook, audiobook, music and games. Comparisons and specifics between two DRM video removal tools on Mac platform: NoteBurner M4V Converter Plus for Mac and Pavtube ChewTune. Reviews between NoteBurner DRM M4V Converter and Aimersoft DRM Media Converter for Windows. This article is a simple News about Apple announces the Best Of 2012 on iTunes Store and the introduction to iTunes DRM video converter. This article is a simple News about iPad Mini which tells the main features about iPad Mini. It's a detailed comparison among iPhone 5, Galaxy S III and Nokia 920 and how to transfer iTunes DRM movies into those devices. Compare the specifics between Microsoft Surface RT tablet and iPad 4 and suggest the best DRM remove tool for converting iTunes movie for Surface RT. This article mainly introduces the difference between Surface RT and ASUS Vivo Tab RT and recommends the top iTunes M4V to Surface RT/Vivo Tab RT converter.